Health • Steve and Barb Young honor Utah songwriter with music therapy space at Primary Children's. Rick Egan | The Salt Lake Tribune Chester Bennington sings with Stone Temple Pilots at unveiling of Sophie's Place at Primary Children's Medical Center, Friday, June 28, 2013. Rick Egan | The Salt Lake Tribune Sophie Barton's brother Chas Barton plays guitar with 3-year-old Alice Fish at Sophie's place at Primary Children's Medical Center, Friday, June 28, 2013. Barb and Steve Young and their Forever Young Foundation paid tribute to Sophie Barton -- a local singer-songwriter who died in 2010 at the age of 17 -- by unveiling the music therapy space. Rick Egan | The Salt Lake Tribune Sophie's mother, Anne Marie Barton, left, with Barb Young and Steve Young, at Sophie's place at Primary Children's Medical Center on Friday. Sophie's place is the first music therapy room built inside a hospital in the U.S and will include a recording studio, performance area, practice room and listening station. Barb Young remembers how much Sophie Barton loved to sing to the young patients at Primary Children&apos;s Medical Center. 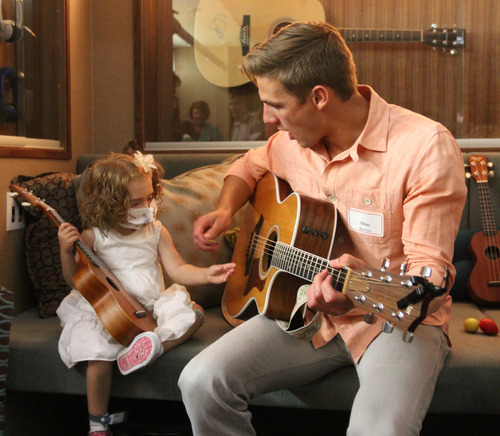 "She came to the hospital with her guitar and she would play to the children, because she always understood that music can heal," Young, wife of retired NFL star Steve Young, said Friday. The Youngs and their Forever Young Foundation paid tribute to Barton  a local singer-songwriter who died in 2010 at the age of 17  by unveiling Sophie&apos;s Place, a new state-of-the-art music therapy facility at the Salt Lake City hospital. 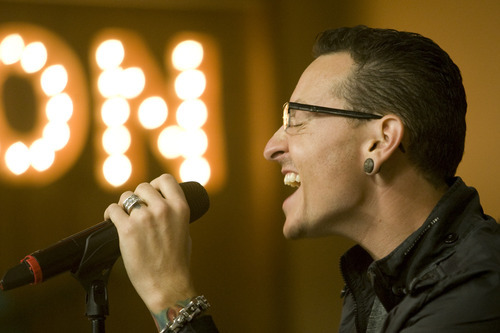 And they opened the site with the musical help of Barton&apos;s siblings and some genuine rock stars: Linkin Park singer Chester Bennington and members of the band Stone Temple Pilots. The facility, the first of its kind to be built inside hospital walls in the United States, is designed to help children suffering from chronic illness or serious injury. Barb Young said she and her husband have been longtime friends of the Barton family, and she got the idea to build the facility about a year after Sophie&apos;s death. "I have always had this passion for music therapy, and I just thought what a perfect combination to bring in Sophie&apos;s memory with music therapy and to create a special room where other people can use the power of music to heal the children, because that&apos;s what she did," Young said. Bennington and Stone Temple Pilots gave a surprise performance before the ribbon-cutting ceremony. The group performed several songs in Sophie&apos;s Place, as the Young family, Barton&apos;s family and children at the hospital clapped and sang along. Sophie&apos;s siblings  Tessa, Chas and Luke  played music with some of the children before the event. Matthew Sperry, a 5-year-old who has undergone two heart transplant surgeries at the hospital, and hospital CEO Katy Welkie cut the ribbon together. The new facility, funded by the Forever Young Foundation, contains a recording studio, performance area, practice room and space for music therapists to provide group and individual treatment. 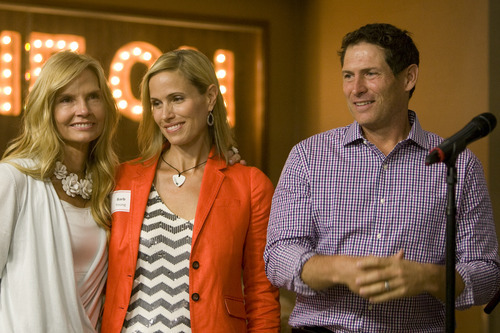 Steve Young said the foundation has already reached an agreement to build a Sophie&apos;s Place at Packard Children&apos;s Hospital in Palo Alto, Calif., near San Francisco, where Young played his pro career, and hopes to build more across the country. The foundation has designed a mobile Sophie&apos;s Place to travel to camps where children need therapy. "After today, when people see what&apos;s possible, I suspect there will be a lot of interest," Young said. Barb Young said she first became interested in music therapy 20 years ago when a friend was in a coma for over 10 months. She said many physicians at the time were hesitant to embrace the concept, but now there are music therapists in 72 hospitals nationwide. Every day, Young said, they are prescribing music therapy to children in need. "Music therapy alleviates pain, it alleviates depression," Young said. "When you have a brain injury, the music can fire the synapses and create new neuro-pathways to help them learn to talk, to eat, to walk and to refine motor skills." Tessa Barton, Sophie&apos;s sister, said the facility is the perfect way to honor her sister&apos;s life. "It&apos;s obviously tragic and very sad to have Sophie gone, but she has a legacy and she&apos;s still inspiring lives and she&apos;s still around," Tessa said. "To still have her so powerfully here, it&apos;s unreal, and it makes everything that much easier. I&apos;ll be up here all the time."